How Much Money Does An Uber Driver Make? Hiring, as I mentioned in this post, is only viable if you want to test the waters with Uber without too much investment or commitment. Well, not really, you would still need at least 600 to 900 quid to hire a car. Most PCO cars hire companies do require a deposit or retainer, and it is rare for it to be less than £500. Most cab renting companies, be it a small player with 5 to 10 cars or a huge company like Enterprise car hire or Europcar, will charge you anywhere from £150 to £200 for the car itself. 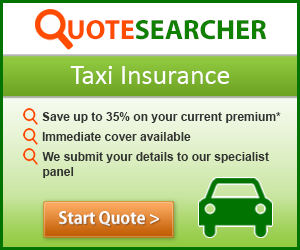 They will let you arrange your own insurance, or offer you all-inclusive deal with full comprehensive private hire insurance for slightly more money. Most companies require a 1-month contract so that they can make a few quid from the car, but they do, for the most part, take care of the maintenance, even tyres, brakes, and little repairs. They won’t replace a chipped windscreen, though, so be careful driving behind big lorries on contaminated with rubbish motorways. So let’s do the economics of hiring a car – you would pay £500 deposit, which I would write off, just in case. In my experience, most small players on the minicab hire market will never give you the deposit back. Driving in London has its perks, and one of them is that there will always be some idiot who backs into your car, dings it, scratches it or worse. The other enemy is the kerbs. Those little bastards, lurking around the corner. If you are not experienced driver or come from across the pond like me, chances are you will scratch those nice, shiny wheels. Guess what? You will pay for it one way or another, just ask for your deposit back, and you will see. Then comes the weekly rental – let’s say a happy medium – £235 a week. That is a £12,220 a year. True, it does include insurance and maintenance, but it is still a lot of money to invest in a business that it is not guaranteed to provide enough income. When you divide the earning per month, it comes to £1,018 per month. That is just the cost of the car. We didn’t factor petrol and cleaning costs, and the latter adds up. But that is for later in the article. Ok, the petrol cost is negligible in comparison to what you pay for the car, but in some cases can add a significant impact to the weekly or monthly budget of an Uber driver. Say my 2012 Prius, for example, does around 50 to 55 miles to the gallon. That means you can drive for 400-450 miles before you need to fill up. That is roughly a week’s work, maybe even less. My petrol costs me around £200 a month, give or take, but I will go in depth of my spendings and incomes on a monthly basis on the blog. I assume the fuel costs of running a Honda Insight will be slightly, but not very much higher, although I know drivers who spend well over £400 a month driving a Mondeo or Vauxhall Insignia. I also clean the car at least twice a week, sometimes more, depends on how the weather is in London, but you already know how it is most of the time… I personally pay around 6 quid per clean, sometimes 10 if I am too lazy to clean the inside on my own, which most of the time I am, to be honest. I don’t recommend going to those automatic car washes since they can scratch up the paint badly and you might be liable for the damages. Yes, lots of people use them, but you can see the quality of the paint on their cars. Nothing beats hand washing a car and there are plenty of places around London that offer a good deal. 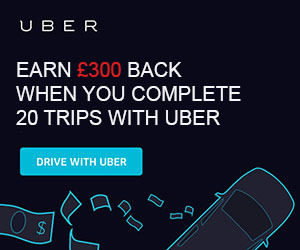 There are some offers on they Uber’s website as well, so I will not go into too many details. Let’s just say that I spend about £80 to a £100 quid on cleaning the car every month. That’s 20-25 weekly. It is important because riders don’t like dirty vehicles and can really impact your Uber ratings. I have experienced it myself so I always try to keep the car as clean as possible. Air freshener helps as well, but there are plenty of cheap options in store. If you are lucky enough to live in an area where you can park freely – kudos to you! If you drive a Prius some councils do not charge anything for a parking permit, but you have to apply in advance for one. For bigger cars like Skoda Superb or the dreaded Insignia, it might be close to a £100 quid a month just to park it there. The really is area dependent so I will not go into details, but you have to keep it in mind, especially if you live in a more central part of town. My council charges over £100 quid for anything bigger than a Prius or Insignia. We will not go in depth here, especially if you are hiring the car. All that will be taken for you at someone else’s expense. But if you do own or lease the car there will be little things you have to do now and then – oil changes, brake pads, tyres. All there are consumables and might be a bit more often than what you are used to after lots and lots of congested city miles. We talked already about all the expenses associated with having the required vehicle for Uber partnership. Let’s talk now how much money realistically you can expect. Given I haven’t been driving a really long time and I really hope to hear from more experienced drivers than me, here are my experiences with Uber. I make somewhere between £10 to £15 pounds per hour. That’s it. Definitely not more than that. I guess with a bit of optimising and a bit of luck you can get to £17-£18, but I seriously anyone on UberX is making much more than that. Given that there are plenty of experienced drivers on the platform who have been with the company for a while now and can track patterns and surge pricing I might be wrong, but if you read on the Uber forums I am not too far off. If you drive 60 hours and with lots and lots of luck you might be able to pull off £1000 a week. In sales. Then comes the hefty 25% commission for the pleasure of partnering with Uber. That is £750 a week. £39,000 a year before expenses. £3,250, give or take a month. When you see that number it doesn’t look too bad, but you have to factor the cost of the car, the number of hours that you work and the surrounding expenses. So let’s say that you hire the car for a year. Your financials would be in the ballpark of £39,000 minus the £12,220 vehicle rental minus the ~£2500 petrol cost (for a Prius) and minus the ~£1200 cleaning costs. That’s roughly £23,000. £23,000 a year doesn’t really sound too bad but keep in mind lots and lots of people are joining Uber on a daily basis and the demand in London doesn’t grow anywhere near as fast as the drivers joining the cabbing platform. I’m not sure how much of this income will be sustainable in the future, only time will tell. Now when we draw the line, pay the tax man and count the money, £18,000 is not really a lot of money for a 60 hours work a week. Cab driving with Uber is a great option for people who already own a Prius (or Honda Insight) and don’t mind getting the PCO badge on it. Given the cost of Hire and Reward insurance is a lot higher than a normal one and you have to be at least 26 in order to get a decent rate, it is still negligible to the cost of hiring a car and pay all those hefty fees every week. In case you want to buy and finance a car specifically for Uber, or any other minicab in that matter, I would strongly recommend buying a beater off Autotrader or Gumtree and run it till there is no life left in it. Honestly, Uber doesn’t care that much what car you drive so the cheapest option would be just fine. It doesn’t care much about your earnings either, especially after the recent Uber Pool earnings fiasco. It might affect your ratings a bit but Uber doesn’t send you fares based on rating so you should be ok. Buying a new car just for Uber makes no financial sense for the state the private hire is at the moment and the rapid rise in number within the Uber drivers. If you have any business near Aldgate you can just pop by their office and see the number of drivers they are activating on a daily basis. It is mind-blowing. I hear stories about 150-200 people every day. These people will join the Uber ranks just like you hoping to make a quick buck. At the moment the only people who make real money are the ones in the private hire car rentals and the insurance companies. The situation is no better now. Lots of drivers on the road and slowing down business. With the Uber license loss seems that people are reluctant to use Uber as a main source of transport. I’d love to hear some earnings reports and how is the situation at the moment from another driver’s perspective!